Michael Parker is a trucker who lives in Florida. He's active on Instagram as @michaelparker4300. I noticed his beautiful images and also that he left some great comments on some of my photos. He is very interactive on Instagram. Hi! My name is Michael Parker, and I'm an over the road trucker. I grew up near Cleveland, Ohio, but have lived in North Central Florida since age 17, 1999. I'm married to my beautiful wife, Katie, and have 2 stepkids, Bella (7),and Kyler (10). Kyler has recently been bit by the railfanning bug! So I'm quite pleased with that! Well, I'm a transportation enthusiast, in general. I also love commercial aviation, so there's the travel thing. But I attribute the origin to my parents taking me to see the steam powered Ohio Central RR as a 7 - 8 year old. That was an awesome experience, and I'd say my love of trains probably began there. Well, as a truck driver, I'm hone very little, and don't have much time to fan when I am. So while I have a few spots near home I like, Waldo, FL on the CSX main being one, I'm usually fanning a different place all the time. I love the wide open spaces out west, so I'd say the UP Golden State Route between Pratt KS and Tucumcari NM is probably my favorite line. Blue Island IL is also a favorite. It'd definitely be the summer of 1979 on the Rock Island. Out in Oklahoma and Kansas. As far as present day, I'm very fond of short lines, so the Kansas and Oklahoma and Abilene and Smoky Valley are on my short list to get. Definitely the Rock Island, if we include fallen flags. Since about age 10, I've been intrigued with the once proud road, and how it went completely out of business. Love the blue paint scheme also. It's been a real treat being able to finally visit so many former Rock locations, because I never grew up or lived near them. As far as current favorite Railroad, I'm very fond of CN and KCS for class ones, CN probably more so. 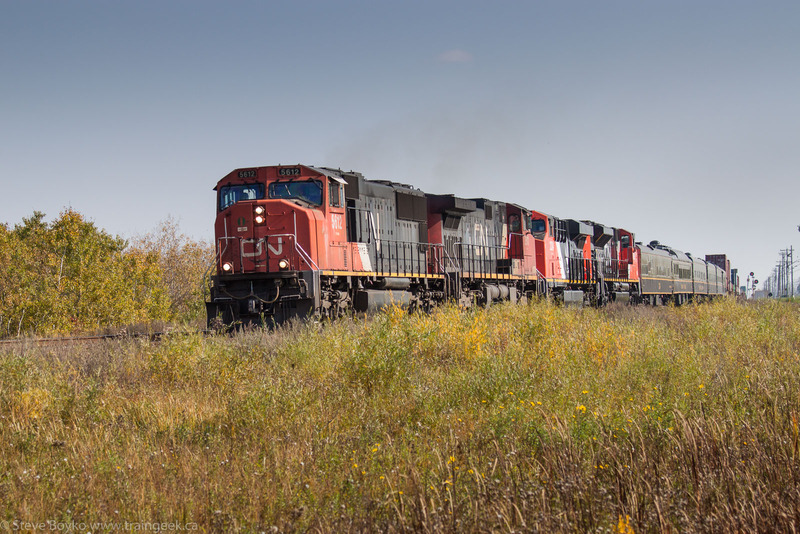 I get to fan the former IC properties fairly regular, and CN has a great paint job, and motive power. I also like PanAm up in New England. And of course, short lines. But I don't have a particular favorite. When I worked local, it was the Florida Northern, near my home. 6. Why do you post on Instagram? What about Instagram in particular do you like? Well, to be honest, I went years without posting my photos anywhere. I didn't feel the need. A friend of mine asked me to get on IG so he could see my photos easier, so I obliged. I started to get a very good reception to my photos, and as I posted more, my followers grew. It's become quite rewarding to share my photos, and find them appreciated. I feel I have something to offer most don't, extreme variety. I'm literally in a different state every day! (Unfortunately I don't get to go to Canada) therefore, my photos reflect all different railroads, and locations. I've reached nearly 800 followers in less than one year on Instagram, and that means a lot. I pride myself on my rail photography, and it is great to see it being admired so much. Also, I enjoy seeing others' work as well, and the interactions. I've made a few friends off Instagram, I wouldn't have known otherwise. It's just a really great community. 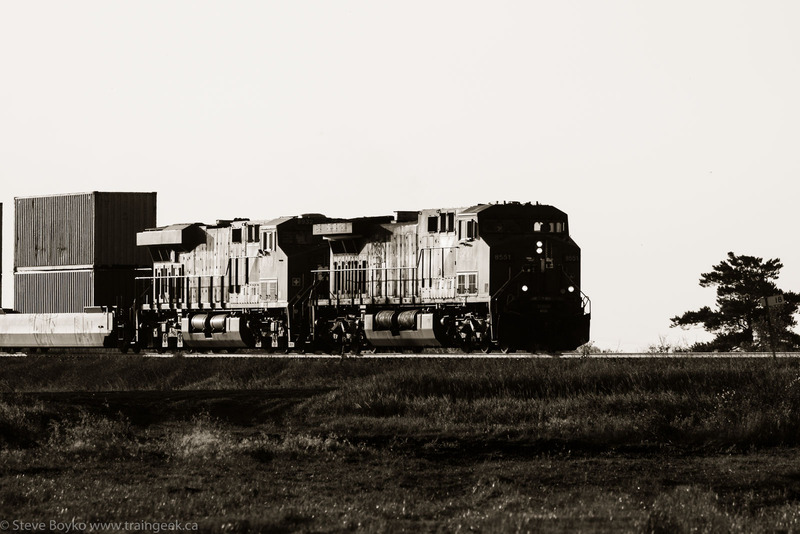 I grew up without a computer, so the online community of railfans on Instagram, and Facebook, is really neat to see. I love the sharing of photos and information. 7. Why should an Instagram user tag their photos? Any recommended tags? Well, to be honest, when I first started IG, I had no idea about tagging. I'm not an extremely technologically savvy person, so I'd never heard of it. I was asked to tag some of my better photos, by moderators at some of the train related photo hubs on IG, and was immediately chosen as a featured artist. Well, I was tickled pink by the recognition and honor. I realized that these hubs were a great way to spread the word about new photographers on IG, and to showcase well known ones also. Just a real positive thing! By tagging your photos to these hubs, you can get featured, and recognized even more. I highly recommend it. Some of the accounts I recommend tagging are #daily_crossing (for which I'm a moderator), #trains_worldwide , #trainnerds, #trb_express, #trainchasers, and #eisenbahnfotografie. There are a few others than are good also, but these are my favorites. 8. What does a moderator do on Instagram? One of the neat benefits to being a featured artist on Instagram, was that I was asked to become a moderator for #daily_crossing. While these are not paid positions, it is a job I take seriously! As one of several moderators there, I get to choose a photo and artist to feature on our hub. I usually select between 3-5 per week. We have 7 moderators, and we all have different tastes in photos, so I try to showcase pics that I personally find to be my favorite type of shot, or favorite subject matter. And I try to mix it up, between featuring known artists, and new ones, that might be tagging us for the first time. I also reach out to artists that post a deserving photo, but haven't tagged us, by requesting they do. Then I can feature it, and hopefully they'll continue tagging us in the future! 9. What projects do you have on the go, or in planning? I do have a small shed at home that I'm in the process of finishing the interior, so I can eventually display some of my railrodiana. I collect lots of railroad items, timetables in particular, and it'd be nice to have a place to display them. Also, I plan to build a small, wall mounted , model railroad there. I haven't had a layout for years, as I'm usually on the road. Other plans include catching more mainline steam. Hopefully 611, and the Daylight. 10. How’s the truck driving life? It has its pros and cons!! I've been trucking 7 years now, so its become a way of life, but I'm usually gone from home 3-4 weeks at a time, then home for 4-6 days. I'm able to plan to be home for special events, birthday, holiday, so that's a plus though. But the being away from the family so much is very difficult. 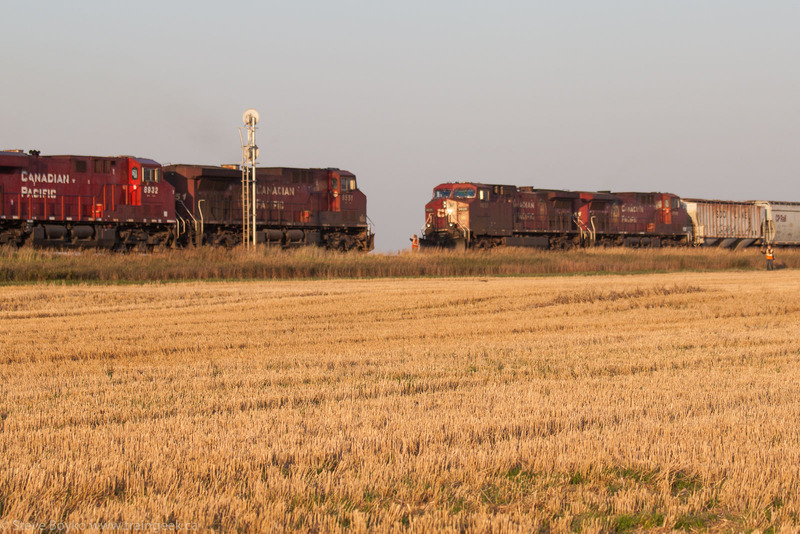 The best part of trucking though, aside from monetary benefits, is the ability to railfan the entire country! I have no set route, so I can literally be sent anywhere. Usually I'm in the eastern half of the U.S. though. There's a fair amount of downtime between driving, so I use that to my advantage, finding locations I can park my semi near the tracks, or close enough to walk a mile or 2 to them. For example, the receiver I'm at today is adjacent to the CSX tracks here in Michigan, so I'm able to fan a bit while "working". Great talking with you, and happy train hunting! I just upgraded to Adobe Lightroom 6 this evening, and here are my very preliminary impressions. 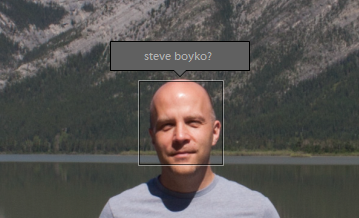 I've been looking forward to LR6 for its rumoured facial recognition features. I subscribed to Adobe Creative Cloud (Photography) a few days ago in anticipation of the LR6 release. Once I found out that it was out, it was a simple matter of going to the Creative Cloud app in the notification area, selecting Apps, and clicking "Install" by Lightroom CC (2015). The download took about 10 minutes, and then it installed Lightroom 6. As in previous versions it does not replace the older version of Lightroom - it installs another copy of Lightroom. Here's my Control Panel. Notice that LR6 takes 1.42 gigabytes, an additional 350 megabytes more than LR5.7.0. When it first ran, it asked me to upgrade my catalog. 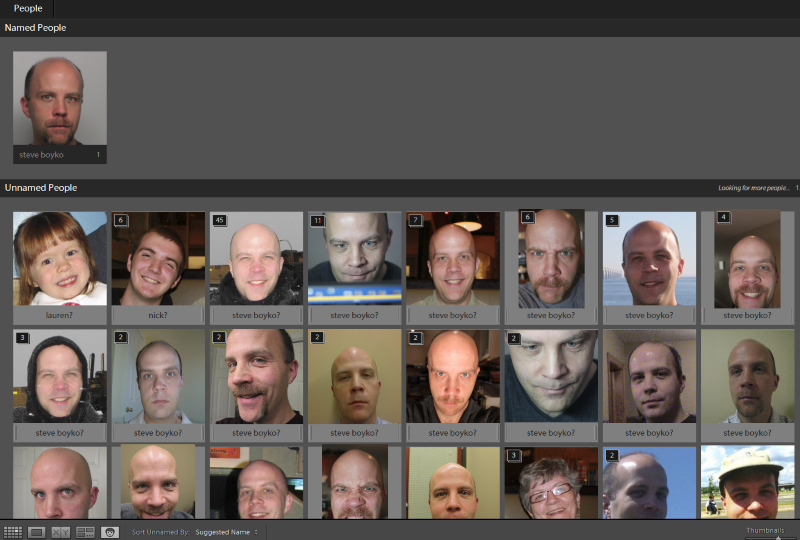 The Lightroom catalog is where all of the edits, tags, star ratings, and so forth are stored. Since Lightroom doesn't actually change your image files, all of the editing you do is stored in the catalog. It's the heart of the system, and of course it needs to upgrade it when you do any upgrades to Lightroom. 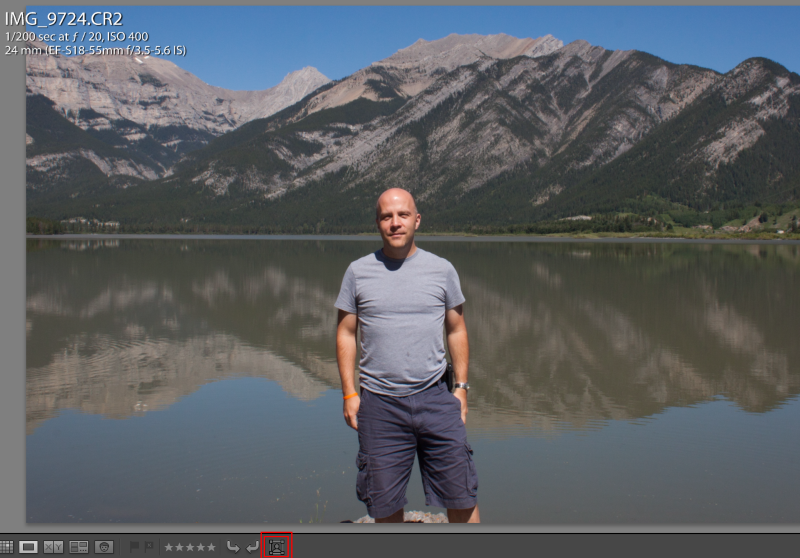 Since I had a good backup, I agreed and in a minute or two I was in Lightroom 6. The interface looks exactly the same to me in Library mode... except for one subtle icon at the bottom. I didn't notice that at first. I poked around a bit and found a photo with a person in it. There's a new little icon at the bottom that you can use to tag a face. Click on it. Lightroom will try to put boxes around faces in the photo. If it doesn't identify one, you can drag a rectangle around the face. Lightroom will make a guess as to who it is, or if you're just starting out, it'll be blank. You can confirm it by clicking on the checkmark when you hover over it. Of course, the easier way is to click that little photo icon I mentioned earlier. 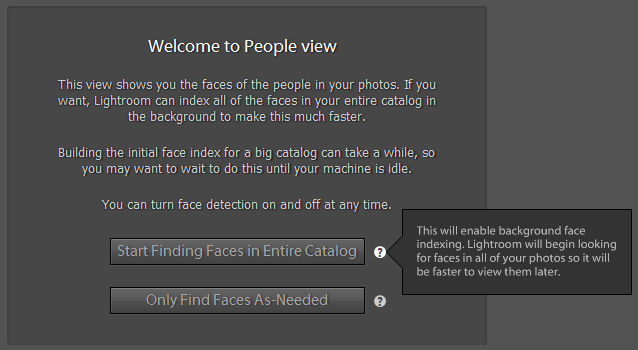 When I clicked that, I was presented with a "Welcome to People View" dialog and a choice between two options: "Start Finding Faces in Entire Catalog" and "Only Find Faces As-Needed". Telling it to start right away will slow down your computer, but I said, what the heck, let's go. As it churned away, it presented a list of people and its best guesses as to who they are. You can see that it puts a name and question mark beside those it has tentatively identified. 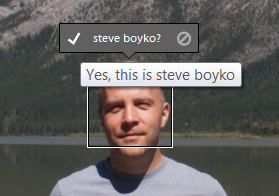 If you hover over the name a checkmark appears and you can click that to confirm Lightroom's guess. Eventually you will run out of guesses and end up with just unknown people. The number in the top left appears to be the number of similar photos. You can click in the gray area and type the name. 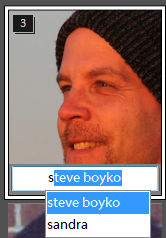 Lightroom will suggest names as you type. 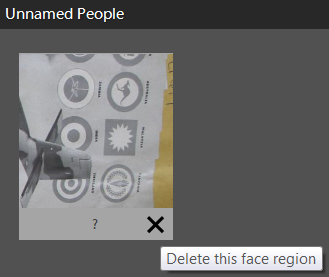 TIP: You can shift-select a number of photos and just enter a name once. 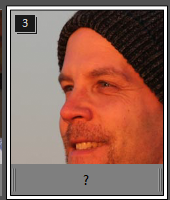 Occasionally Lightroom will mis-identify what it thinks is a face. You can remove that. I'm still learning... there's lots left to explore. 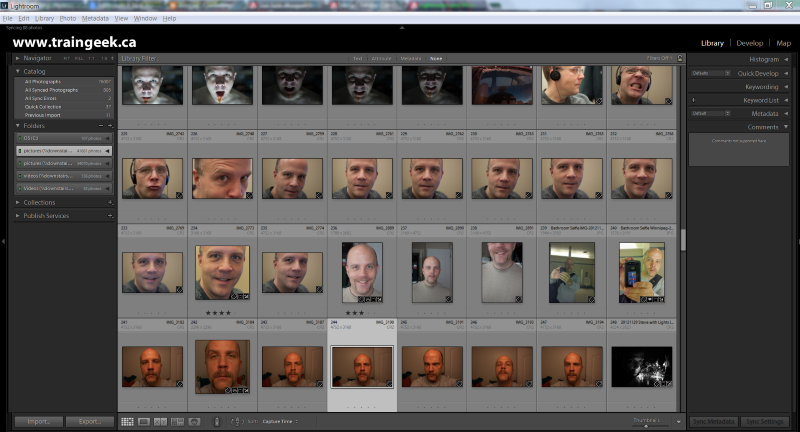 By the way, Adobe has a nice video about face recognition in Lightroom 6. I wrote an article "How To Pack Your Camera For An Afternoon Hike" over on the Improve Photography site, if you'd like to check it out. Taylor (with Chris Mears in the foreground). Photo by Lou McIntyre. 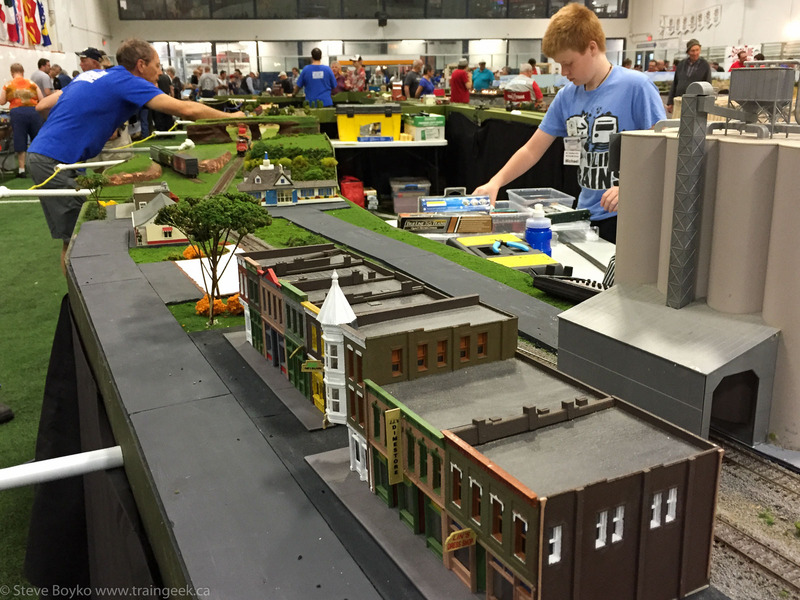 Taylor Main is a railfan and modeler who lives in Prince Edward Island. 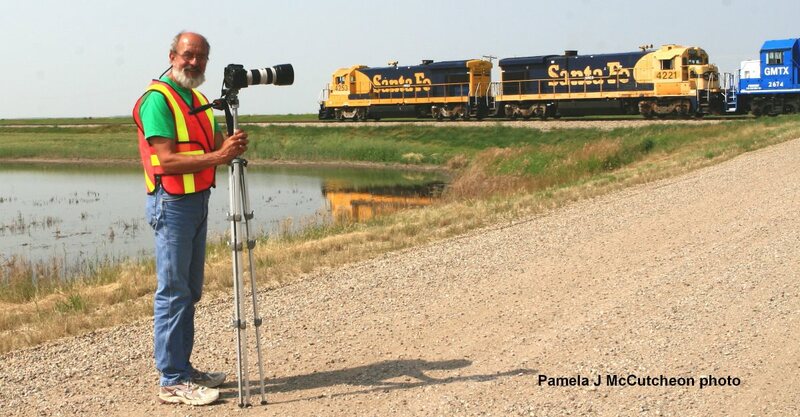 He's yet another railfan that I've never met but I admire his modeling work very much. I'm a recent graduate with a BSc in Chemistry. I am currently working as a technician in an analytical chemistry lab. 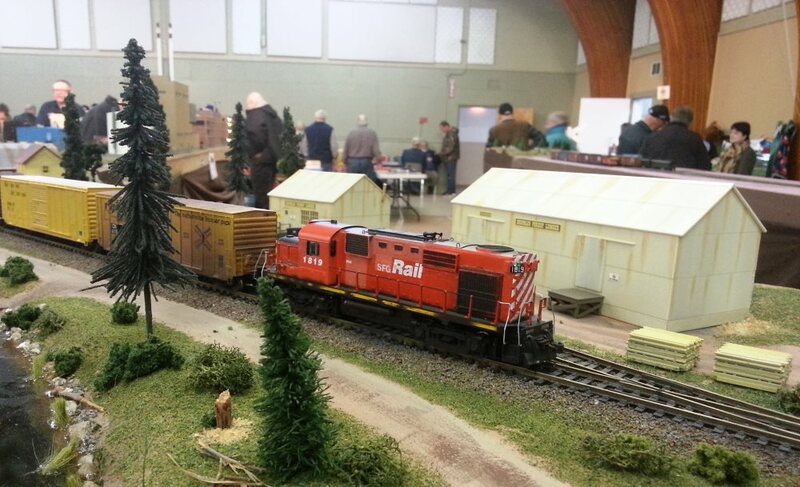 I've lived in North River, Prince Edward Island all my life, and had an interest in railroading, model building and the outdoors for as long as I can remember. My father is from a small railroad town called New Carlisle located on the Gaspe. My grandfather, an engineer of 39 years, and about half a dozen other relatives of mine worked on that line over the years. Growing up, I spent a couple weeks each year up there and a lot of time down in the rail yard and at the station. My grandfather was the main influence in my fascination with railroading. Luckily, I was able to catch the final stand of CN's MLW fleet, with him by my side. At the time, they were still running the 2000's, 2100's, 2300's and 3500's in daily service, which lasted until roughly 2000. I will always remember the sight, sound and smoke of those engines against the cold waters of the Bay of Chaleur and the setting sun to the west. My favourite place to railfan would have to be the Gaspe Peninsula, in particular at Christie's Rock right along the Bay in New Carlisle or around Nouvelle, nestled amongst the Chic Chocs. It's hard to choose just one. A good friend and I talk about this often, and I would have to say somewhere on the Quebec Cartier Mining system around 1989, the PEIR in the last ten years of its operation and of course, anywhere on the Gaspe back in the CN days. Canadian National. I've been genetically predisposed to this decision. 6. What railfan, living or dead, would you most like to meet? Why? This is a tough one, as I never really considered myself to be much of a railfan. I would probably have to say David Morris. When it comes to railfans on the Gaspe Peninsula, he is bar none and has been making yearly trips there for 30 years or more. I'd love to sit down and pick his brain sometime! 7. 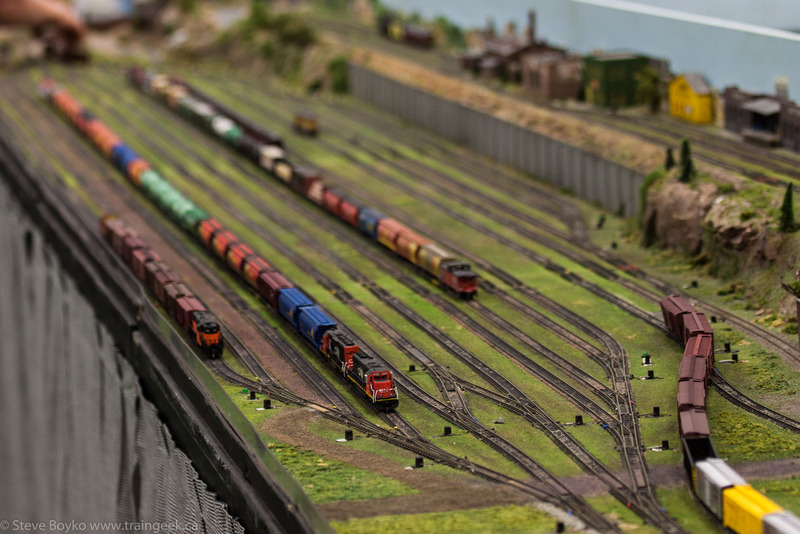 What’s your favourite model railroad layout? My favourite layout would have to be the Carleton Trail in Saint John, NB. The layout is a double deck HO layout built by Steve McMullin, who I have become good friends with through my yearly operating tours of Saint John with the Half Nuts Model Railroaders of PEI. His protofreelanced layout is set in 1968 and based on fictitious operations in Carleton County, NB, focusing primarily on agricultural traffic. 8. What projects do you have on the go, or in planning? Right now, my workbench looks like the shop floor of Point Sainte Charles. I have several RSC-13's on the go, as well as half a dozen RS-18's and five C424's. In terms of layouts, I recently completed a set of four UMG modules based on operations at Matapedia, PQ. I am also in the process of building a small switching layout based on the interchange between Papier Gaspesia Limitee and CN in Chandler, QC, circa 1983. I won't get into future projects at this point, as that could turn into paragraphs, but I'm mostly interested in CN's MLW fleet. 9. I know you like fishing and I’ve seen photos of the flies you make. What would you say that model making and fly tying have in common? In terms of similarities, fly tying and model building are fundamentally different, however, both require a lot of practice to master and a lot of time and patience to get to that point. I am far from a master of either hobby, but I have had some terrific help with both over the years. Without going off on too much of a tangent, I find that one hobby compliments the other quite nicely. They will only allow us to fish between April 15 and Nov 15 here on PEI, so in the summer I fly fish and in the off season I build models, for the most part. This way, I don't get "burned out" on one thing. 10. If you could buy a model of anything you wanted, what would it be? At this stage of the game, I am just as happy, if not happier, to kitbash a locomotive as opposed to buying something new. I've also taken a recent interest in unique freight cars. If there's one thing I have right now its lots of time. If I had to choose one though, I would say one of CN's twenty MF-32's - the HR-616. I do have a build of one in the parts sourcing stage though so stay tuned! Thanks, Taylor! To see more of the series, follow this link. After the Canadian Pacific-based excitement of part 1, and the Winnipeg model train show, I headed home. 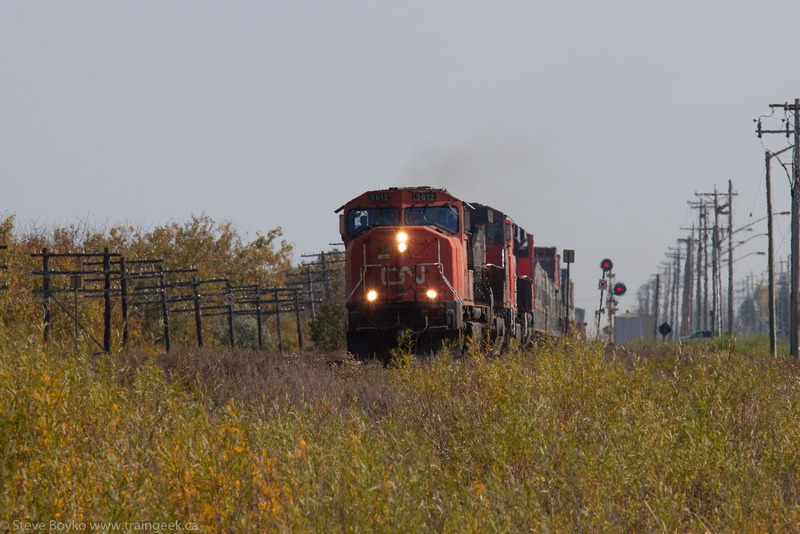 I took my usual detour of driving along Wilkes Avenue with the hope of spotting some CN action before I got to the Perimeter Highway and had to head south for home. The action was immediate. 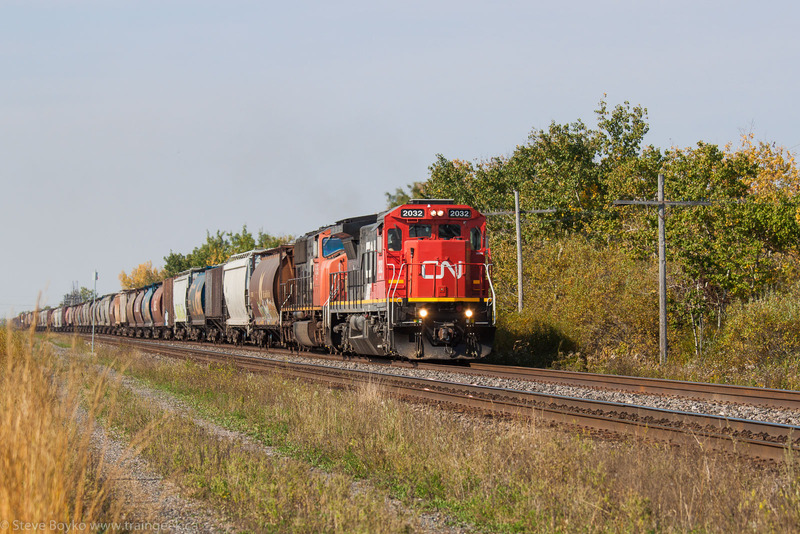 There was an eastbound freight headed by CN 2032 to catch! Those ex-Union Pacific Dash-8s still look odd to me. 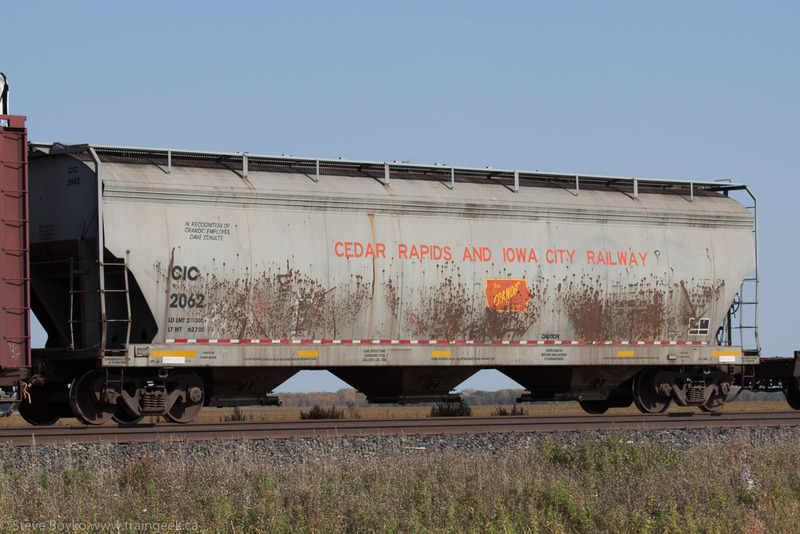 I don't think crews like them, but they are a welcome change to this railfan from the usual SD70M-2 / ES44DC / SD75I parade. I drove down along Wilkes some more, not seeing anything, and drove back to Carman Junction one more time "just in case". 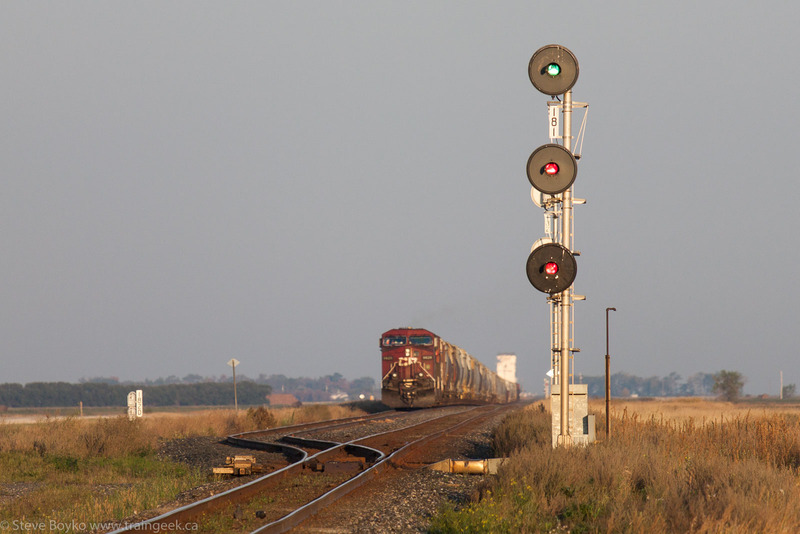 I was lucky enough to spot a headlight of a westbound train, so I parked and set up to catch it coming around the bend. Wait... what is that behind the engines? 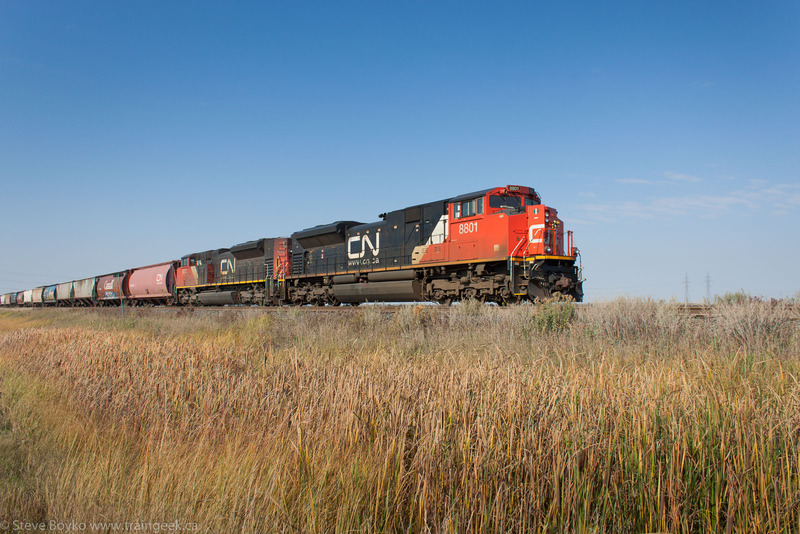 It was the CN business train! There were six passenger cars being carried behind the four engines (the latter two of which were the power for the business train). I understand the train was going to Saskatoon where the business train would split off on its own. I gave chase to Diamond, intending to catch a more side-on view of the train. Diamond resident Brian S was there to catch the action as well. 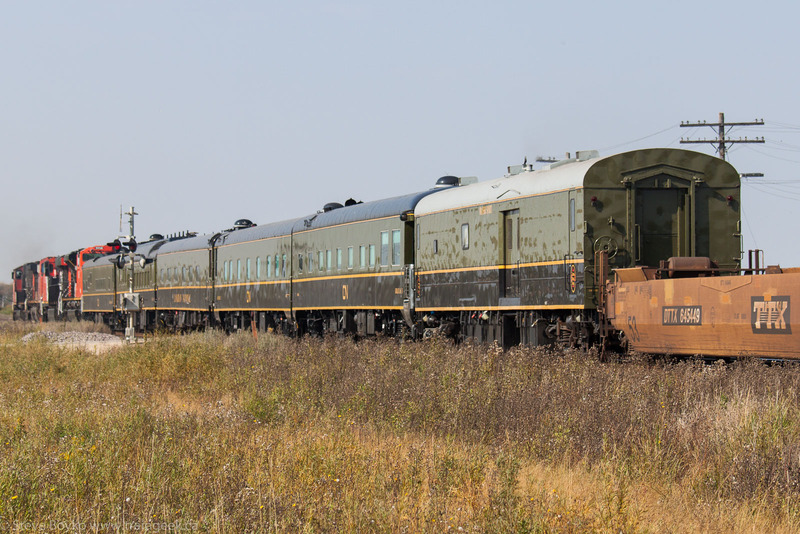 Purists might argue that although these cars wear the old green-and-gold colours, they are lettered for CN not Canadian National. I say "pfagh" to that; I'm just happy to see these old cars decorated in some semblance of the classic colours. 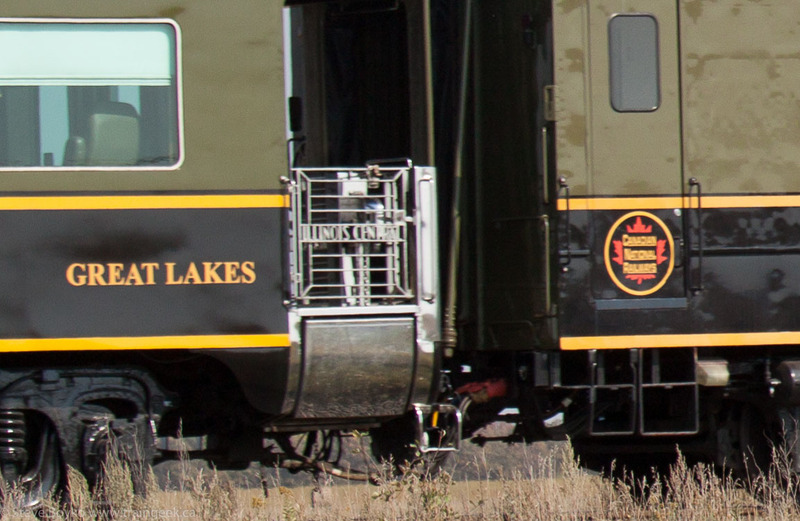 I like the little touches like the "Canadian National Railways" roundels on FRASER SPIRIT and the "Illinois Central" gate on GREAT LAKES. The action was still not over - there were two eastbound trains to come. Next up was CN 8801. This Crandic car - CIC 2062 - caught my eye. "In recognition of Crandic employee Dave Schulte". 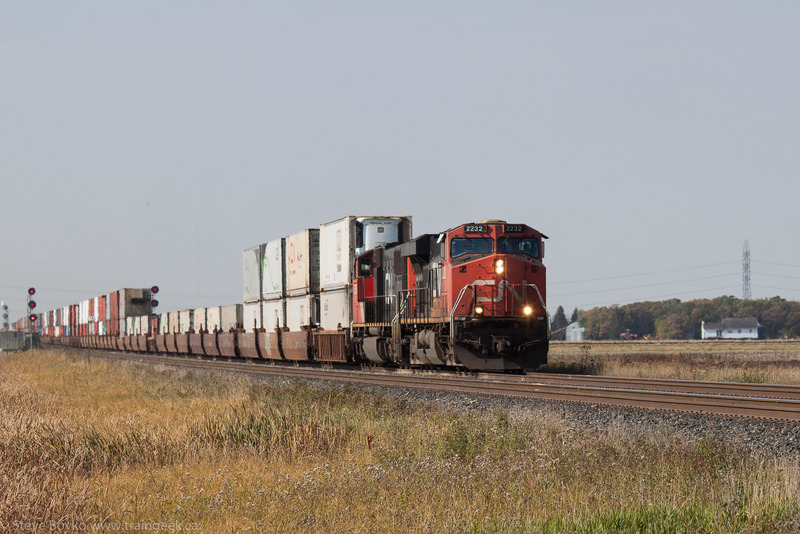 The second eastbound train was CN 2232 and CN 5605 leading an intermodal train. That was it for me for that day... whew! Busy times. 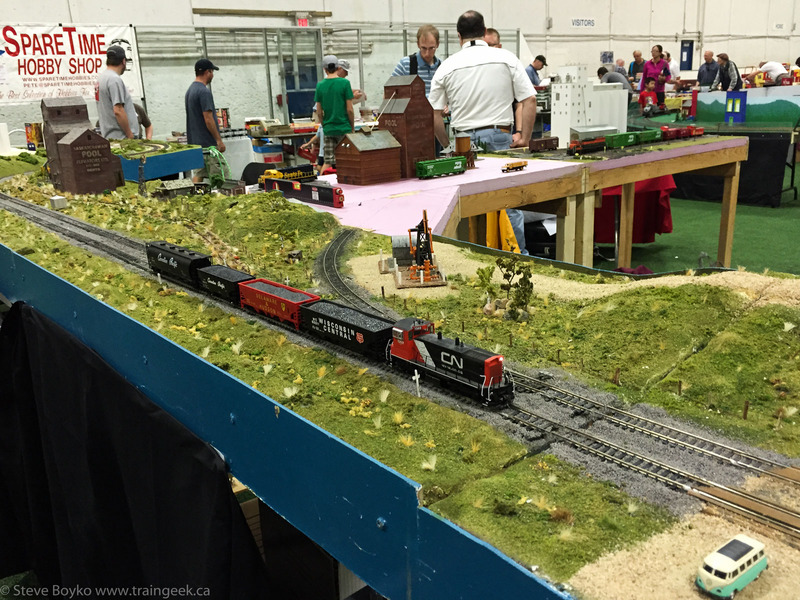 To end this off, here are a few more photos from the Winnipeg train show in the fall of 2014. Railroad magazine used to have a regular feature highlighting an "Interesting Railfan". 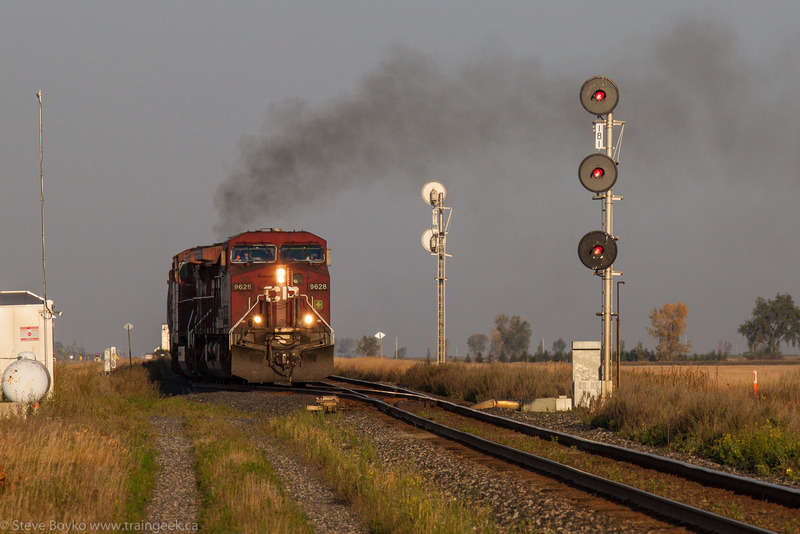 I thought I would run a similar series with some railfans who have agreed to participate. I'm asking each railfan 10 questions, some standard and some customized for the particular person. I hope you enjoy it. Ken McCutcheon is a retired railroader and a long-time railfan. Ken is the fourth in this series (see all). I'm almost 67 years old living in Assiniboia, Sk. Married to Pamela, my fantastic wife of 38 years. We have three adult sons, Kendall, Thomas and William. I grew up in Toronto, son of Ken Sr. a Dining Car steward with Canadian Pacific. My childhood was spent around trains, specifically passenger trains. The railfan bug bit me early. On graduation from high school I set my goals high, and became a train order operator with CP in the Toronto Area and on the Trenton Division. 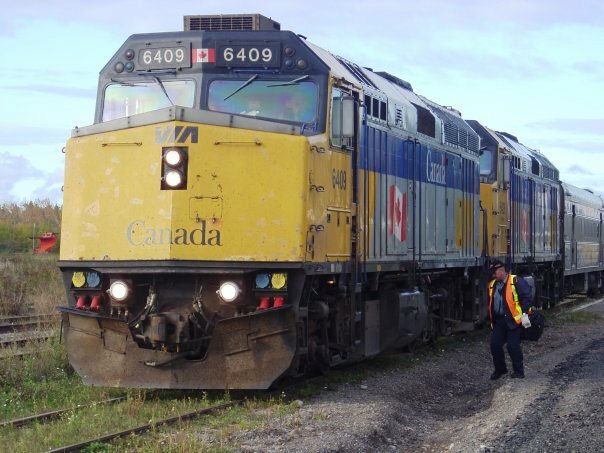 Being laid off from CP I hired on with CN and in September 1971 bid north into the Northern Ontario Area working in Longlac, Nakina and Armstrong. As a young man I developed a keen interest in train orders and time tables, collecting them as much as possible. It soon became apparent I wanted to become a Train Dispatcher. I was young, 23ish, and impatient. 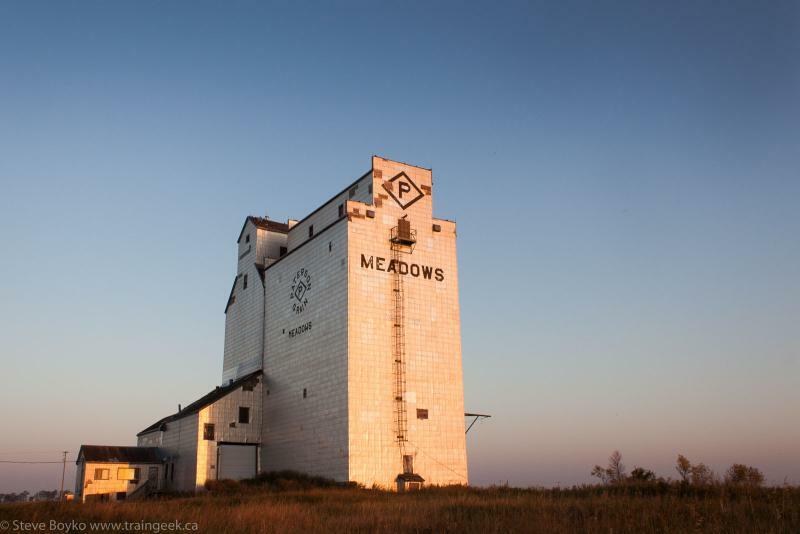 In the summer of 1972 I left CN and drove west until landing a job with CP out of Moose Jaw, SK. After being laid off in January 1973 I again pointed my Datsun westward. In March 1973 I hired on with BC Rail and began an over 30 year career with them, first as an operator and then on December 20th, 1973 I achieved my dream, qualifying as a Train Dispatcher. On July 15th, 2004 CN entered a partnership with BCR in which we became CN employees. Ten months later, May 1st 2005, two days before my 58th birthday, I worked my last shift as a Rail Traffic Controller (RTC) and also the last shift for CN in North Vancouver BC. 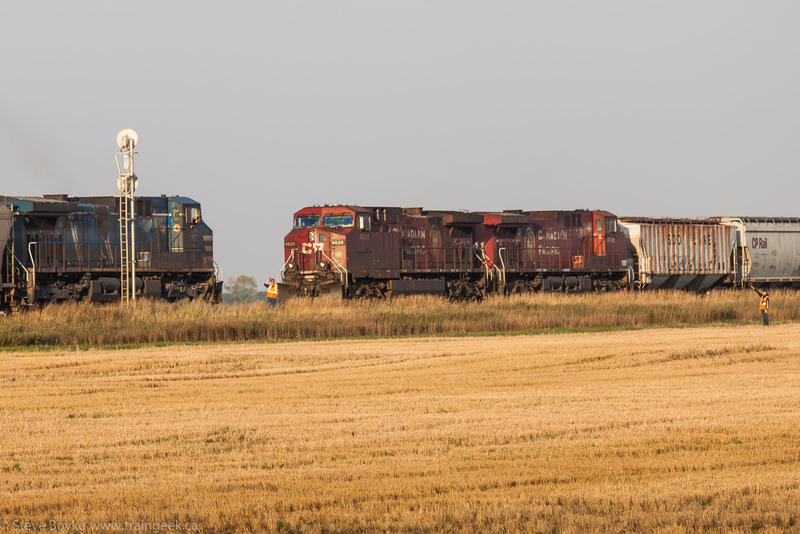 At 0445 that morning all RTC control was transferred to CN Edmonton. Electing to take early retirement, walking out of the door for the last time. 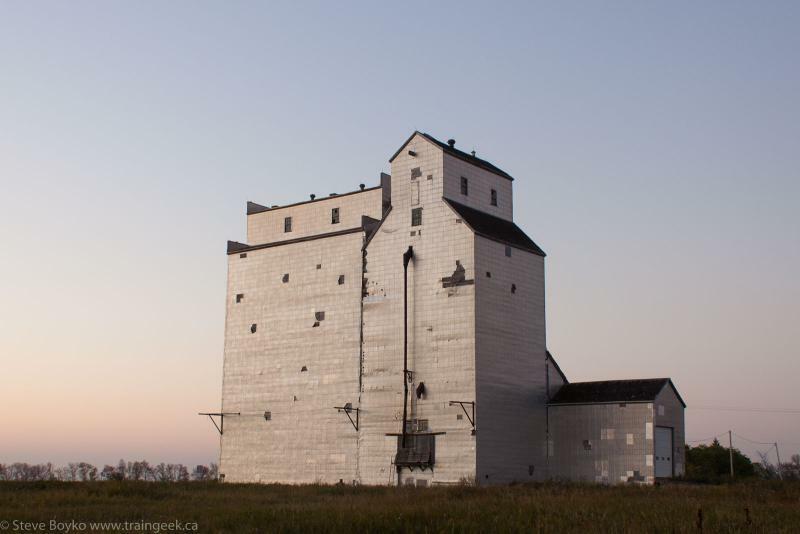 In December 2006, Pam and I relocated to Assiniboia, SK where we have lived for the last 8 1/2 years. 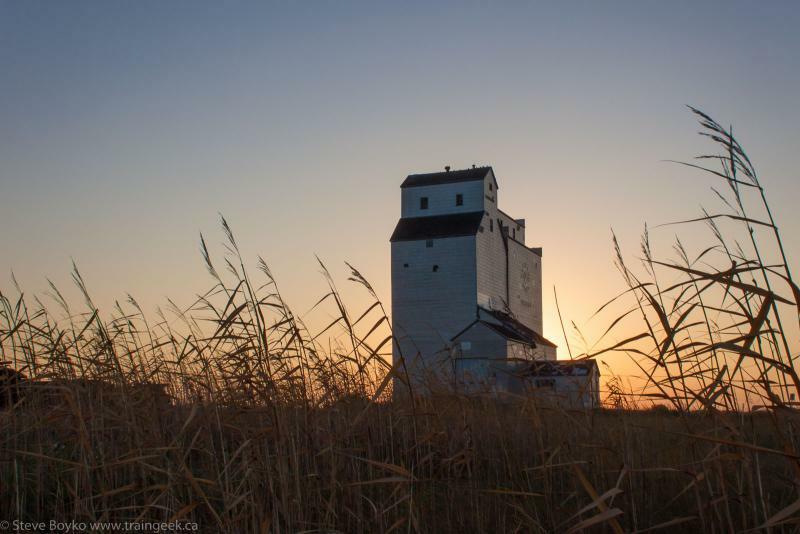 We love it here, the Prairies, small town life and especially Saskatchewan. 2. 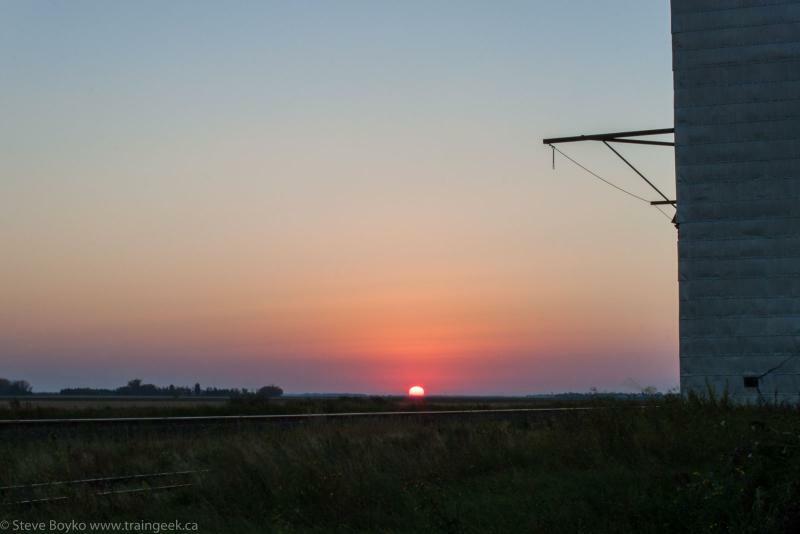 Where’s your favourite place to railfan? I'd have to say right here in the Prairies. Wide open spaces, great climate sometimes changing seasons several times a day. No overgrown vegetation to fight. Beautiful sunrises and sunsets, and storm lighting to enhance the experience. We have it all here. 3. 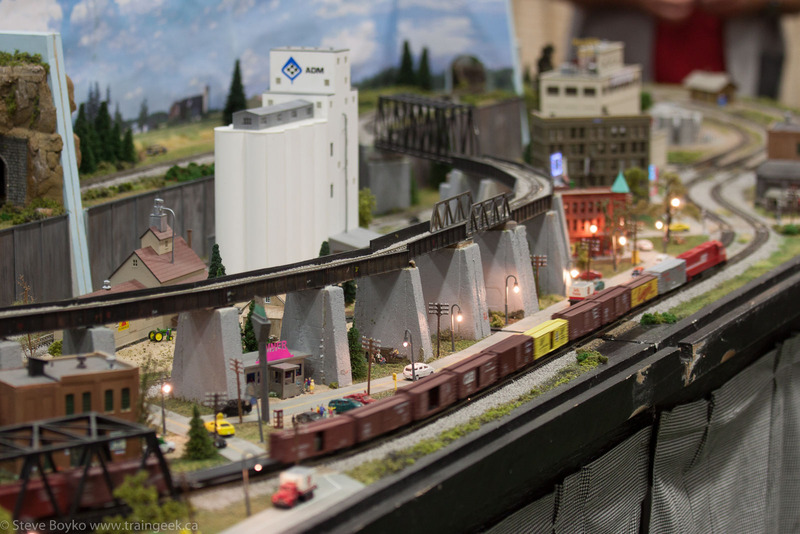 If you could railfan anywhere, anytime, where and when would it be? There are some experiences I missed out on or didn't spend enough time with while younger I really kick myself for. The railroads of New York State and Pennsylvania in the late 60's and early 70's specifically the Lehigh Valley, Erie Lackawanna and New York Central. Once out west I wish I had camped down on the Milwaukee Road. There was such a resurgence of traffic and it was such a captivating subject. I am thankful for the photos and experience I did have but it just wasn't enough. 4. What’s your favourite railway? I'm not sure I have a favourite railway. At any given time we all have favourites but today for me I like the short line scene. Whether GWR or any of the other Prairie shortlines, I find them all interesting. 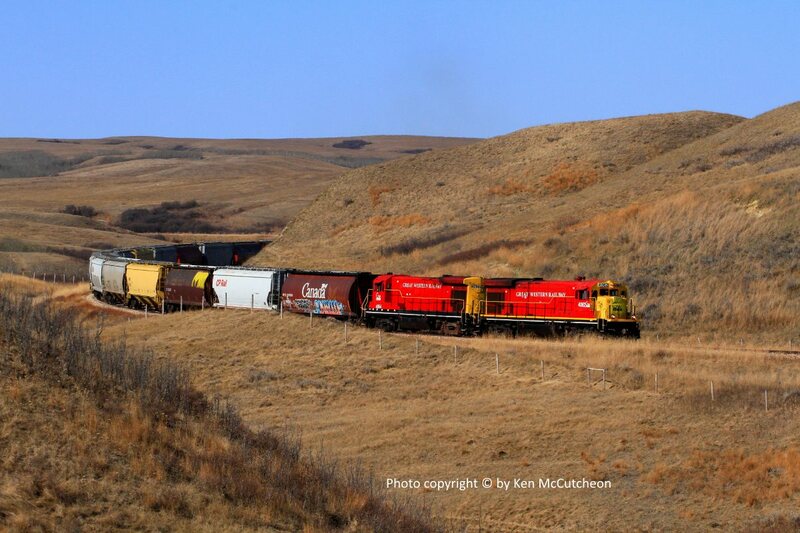 Even branchline CPR in southern SK is a favourite for me. 5. What would you say are the best and worst things about the move from film to digital? If it wasn't for digital I am not so sure I would have gotten back into photography. Once Pam and I had our family, three young boys, I got away from photography and travelling for 18 years. There wasn't the time to raise a family properly or the money to travel/photograph. I quit in 1983 during the BCR two toned green Alco era just before they adopted red, white and blue. It wasn't until 2001 I again got back into photography and railfanning, at the prompting of a couple very good friends. It was a Canon digital camera I experimented with and have stuck with moving up from a point and shoot to the middle/higher line of equipment. The best thing about digital is the faster shutter speeds and higher ISO. And the ability to see the photo instantly for exposure adjustments. Not having to wait three days for film processing if you were lucky enough to live in Toronto or Vancouver as I was. 6. To an outsider like me, it seems like being a railfan is discouraged when you work for a railway. Were you a “railfan” when you were working for BC Rail? I don't think BC Rail discouraged me from being a railfan. What they didn't know didn't hurt them. 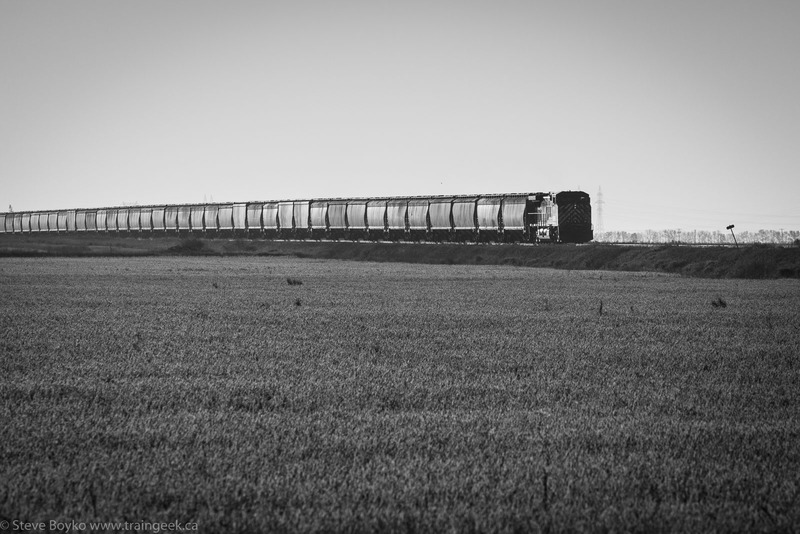 I didn't advertise the fact I photographed trains. As my fellow Dispatchers found out I'm sure they had a good laugh behind my back. My attitude was, let them laugh. One of the first requirements of railroading was to have a very thick skin. No room for sensitive and easily offended people. However, having said that I never brought my railfanning to work with me. On the job, the job was number one. There were, of course, perks to being a Dispatcher and attaining certain info about train movements for after work activities. Info I would just tuck away. As a railroader and while on the job you never ever acted "stupid" about trains. The railway pays you to do a job and that only. 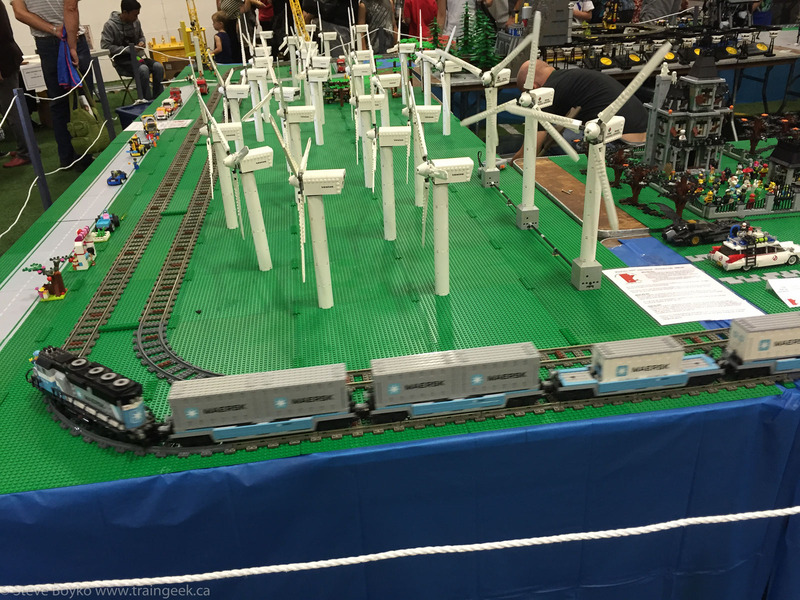 Was I a railfan? You bet I was. 7. What would you say is most misunderstood about working for the railways? 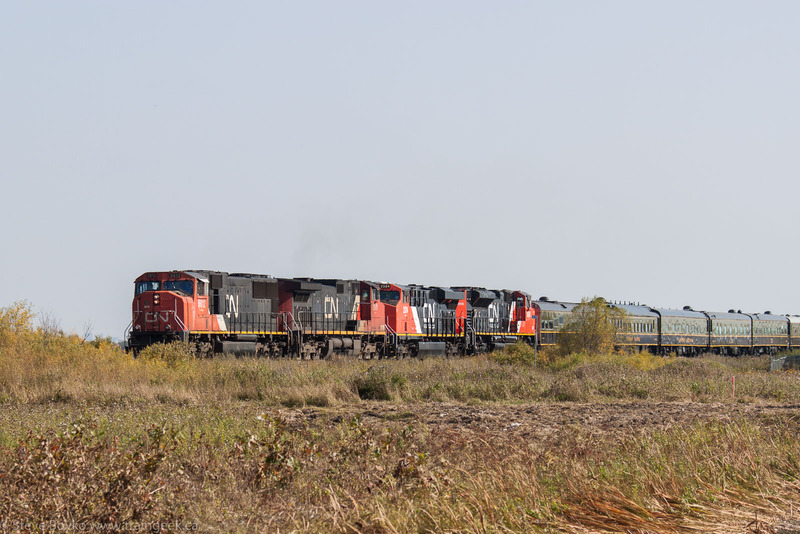 Working for the railway is not a dream job for the railfan. There is no room for your hobby and working on the job. In fact most railfans make lousy railroaders. Not many of us could work an eight to 12 hour shift and then spend the balance of our time being around the same environment looking through a camera lens. 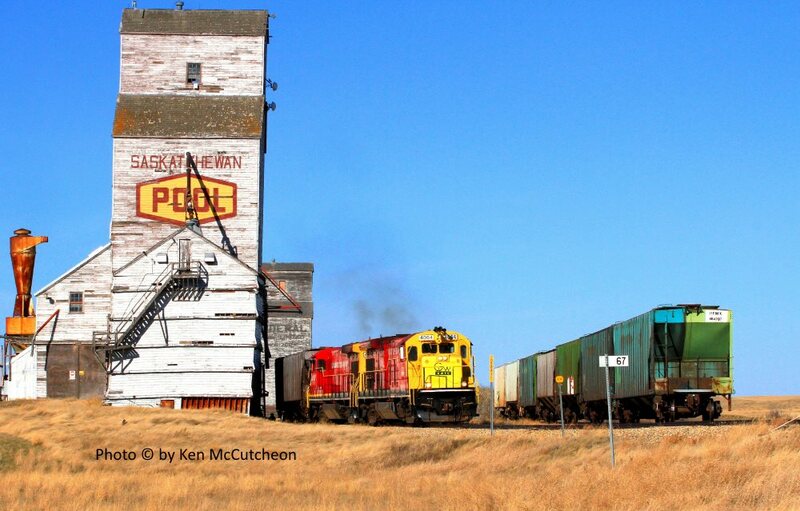 For fellow employees, running trades and engineering, Train Dispatchers do NOT sit in an ivory tower thinking of ways to delay your trip or short change you on track time. You have one train to run, or one gang to keep working. 8. How would you say a railfan should act to get along best with railways, especially shortlines? Professional and courteous. Always receive permission and tell the employees what your intentions are. I know, asking for permission can be a pain since there is always the chance you may be refused. Wear the appropriate safety clothing. Many short line employees are railroaders retired from the larger railways, especially in the running trades. The working environment is more relaxed and the hours usually better suited for a normal life. Usually the employees are friendlier. It makes a difference when you haven't supervisors looking over your shoulder and attempting to observe you breaking a rule or two. But the railfan still has the obligation to treat all railroaders with respect. You are on their turf. Offer to send photos to the shortline or their employees and then carry through. A small gesture like this will earn you respect and a welcome mat when you come back. Not much of anything. I guess I would be classified as an underachiever. I want to get around to scanning my slide collection. I am having too much fun out photographing. 10. How’s retired life treating you? Fantastic. Never thought it could be so much fun. Do I miss the job and the guys I worked with? Yes and no. The guys I worked with, we had some great times. Whether the challenges of the job or the satisfaction of having a good shift, it is something I will never forget. When train crews and engineering employees thanked you for a good trip or providing track time it made my day. It was why I was there. When things went for a dump, whether a rock slide, engine failure, a derailment, or too many trains and you couldn't talk fast enough issuing train orders or OCS clearance, it was all apart of the job, and knowing the next shift could only get better, couldn't it? Do I miss all this? When I walked out the door for the last time, I walked out and have never looked back. I do not miss midnight shift, or 2000-0600 or 0200-1200? Not a chance. I do love retirement and the flexibility it affords me. I'm going back into last year's photos for this one. I'm surprised I never posted this before, actually. I awoke early on Saturday, September 27, 2014. 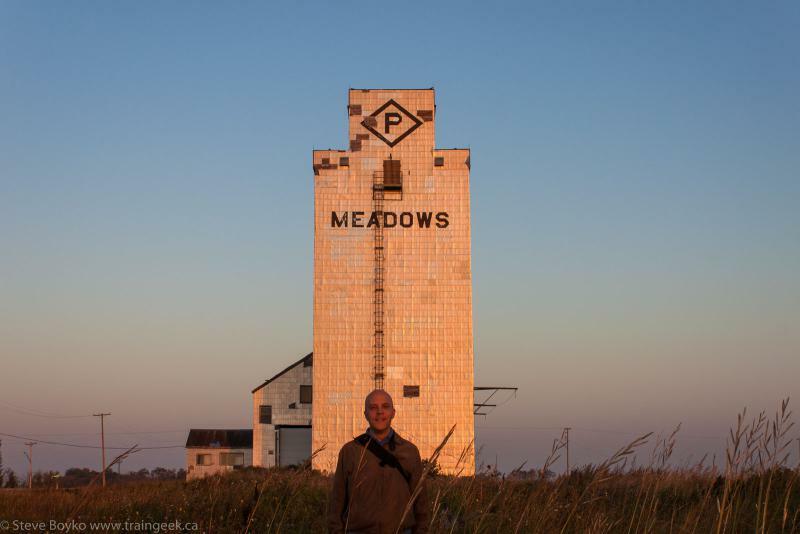 I wanted to go photograph the sunrise at the grain elevator at Meadows just outside Winnipeg before heading to the model train show. I was hoping to catch a train by the elevator as well. As it happened, I got everything I wanted, and more! When I arrived at the elevator, the sun hadn't broken over the horizon yet. 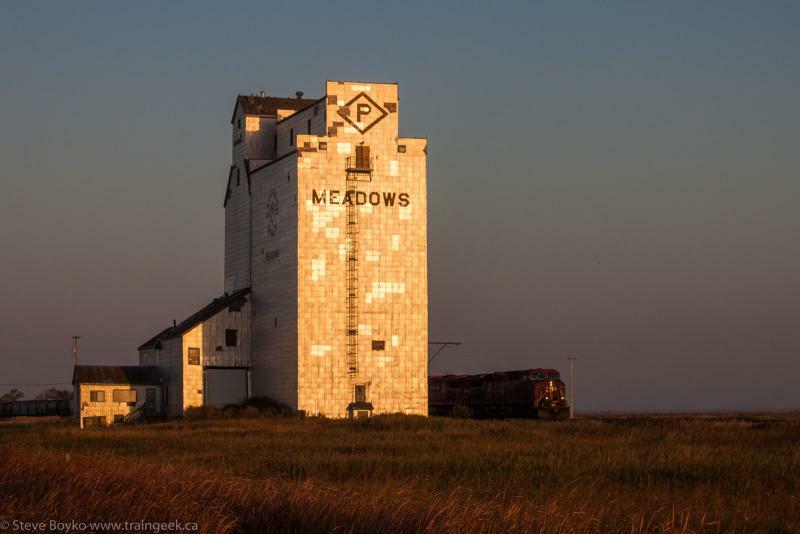 I decided to start on the north side of the elevator, a side I hadn't photographed much. The first thing I noticed was the incredible number of swarming, biting insects. You would think that after all of the elevators I've shot, I'd remember to bring bug spray... but no. I soldiered on, taking photos while batting flies away. I had to take a selfie, of course. The bugs were pretty bad, but I was determined to continue, as the sunrise was just beautiful. At 07:55 the first train of the day came along, an eastbound led by CP 9628 and trailed by CP 8641. I took off in pursuit of the train, but I noticed very quickly that they were slowing down. They took the siding at Meadows (which is east of the actual town) to wait for a pair of westbound trains. First up was CP 8551 West. Since shooting into the sun strips most of the colour out of a photo anyway, why not process it as black and white? CP 8551 West had CP 8932 behind it and CP 9804 DPU in the middle of the train. The second westbound train was powered by CEFX 1032... just the one unit. Once 1032 passed on by, CP 9628 got the green light and throttled up. 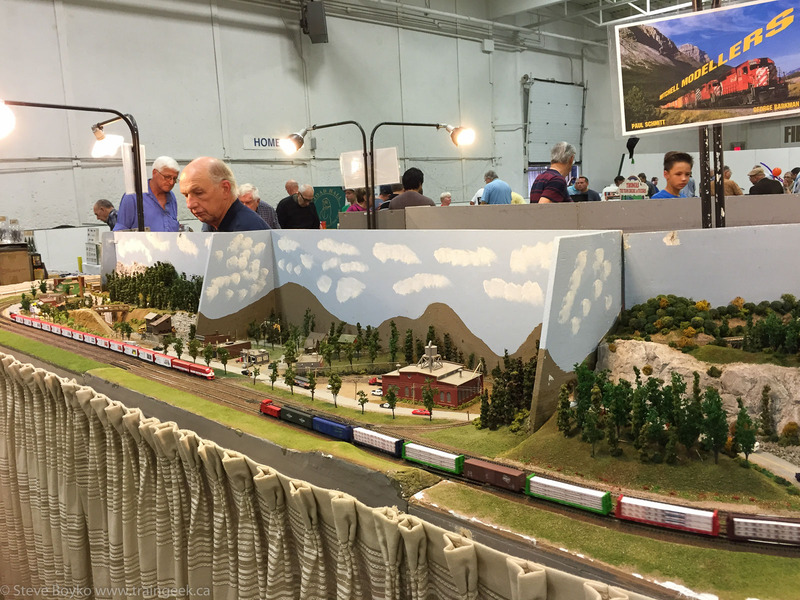 By now I was out of time and so I headed for the train show. It was well organized and well attended. I had a good time walking around chatting with friends and looking over the tables. I scored a nice Bowser CP M630 for my tiny fleet.